When Stackify Retrace or Prefix is installed, StackifyHttpModule is registered in IIS. If you are using "classic" application pools, they will not automatically use Stackify's module. To fix this you can either add the module to your application's web.config and redeploy your app, or modify the master web.config on your server or PC to reference the module. Note: Some APM features may work without the module. Async requests and some other features may not work as expected. Open IIS Manager (Windows Feature) > Click App Pools. 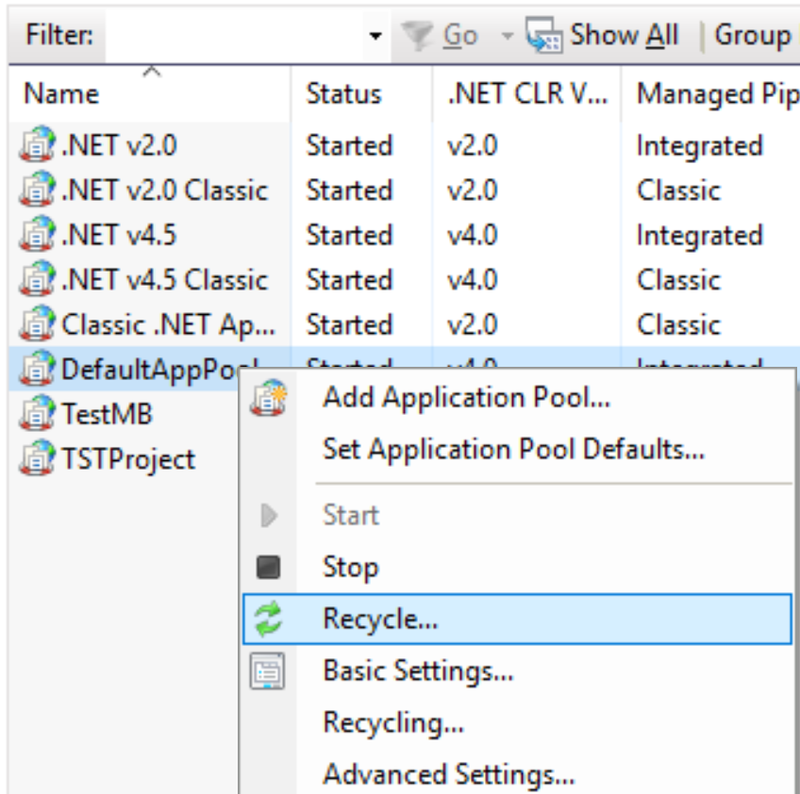 Here you can see the .NET version and the Pipeline Mode for you App pools. You can install the package from nuget and then be sure to redeploy your app with the new dll and updated web.config. You will then need to manually modify your web.config file to add the module under "system.web". Note: If you added the module to your app and redeployed your app, you do not need to also reconfigure your server. Find the location of <system.web><httpModules> and add the following to register the module. Once the configuration changes have been made, save the change and recycle the app pool. This can be done in the IIS Manager. Once the configuration changes have been made save the change and recycle the app pool. This can be done in the IIS Manager.